Mustang Ford Oval Decal - 3.5"X1.5"
This small Ford oval decal is officially licensed by Ford and will look great anywhere you decide to put it. 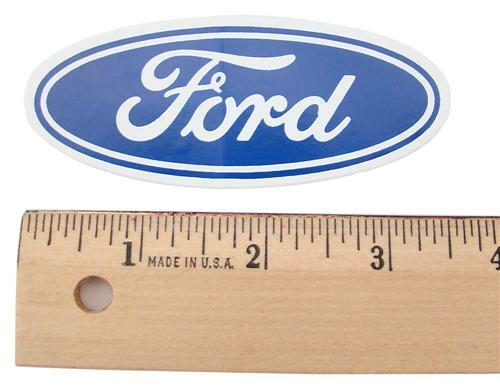 This small Ford oval decal sticker lets everyone know which team you are on. The blue Ford logo is printed on a clear background so wherever you put it the color of the surface will be seen through the sticker. Will blend into blue surfaces. 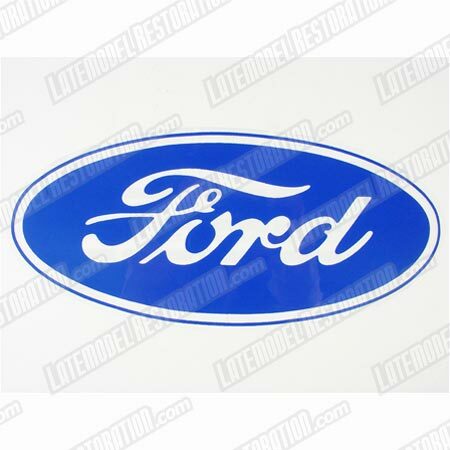 Upload your own picture of the Ford Oval Decal - 3.5"X1.5"